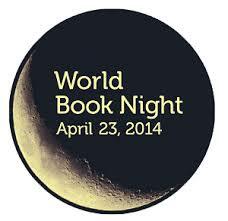 We’d like to wish all of our Readers a very Happy World Book Night! Once again, World Book Night is celebrating the importance of reading and books throughout the UK, in particular encouraging those who love to read on a regular basis to help reach out to those who don’t read as much as they might like to or perhaps have never read to discover a love of literature through the giving away of thousands of free books. The Reader Organisation is delighted to be an World Book Night Edition Giver, and with the help of some Community Book Givers will be giving away special World Book Night Edition books from Calderstones Mansion House. City of Readers are celebrating World Book Night in a way that will help everyone get cosy with a book with their #readinaonesie campaign. It couldn’t be simpler – they just want to see pictures of you enjoying your favourite book in a onesie (or pyjamas, dressing gown or other lounge wear). Tweet your #readinaonesie pictures to @LivCityReaders or @Lit_Liverbird and find out more about getting involved in the campaign on the City of Readers blog. Throughout the day, we’ve been asking our faithful Reader following on Twitter to share the titles of their all-time favourite books for World Book Night and the response has been brilliant, giving us even more reasons why books and reading make such a lasting impact and also ensuring that we have a reading list that’s growing even longer. You can share your own choices to help us mark World Book Night by tweeting us @thereaderorg or if you’re popping down to Calderstones Mansion House why not write your the title of your favourite choice down and we can use them to help line our bookshelves. Previous Previous post: Happy Birthday Shakespeare!